Main Street Bike Lanes Coming to Downtown L.A.
I’ve been pretty critical of the city of Los Angeles Transportation Department’s (LADOT’s) August 2011 announcement to implement lots of sharrows instead of actually implementing the bike plan the city approved in March 2011. 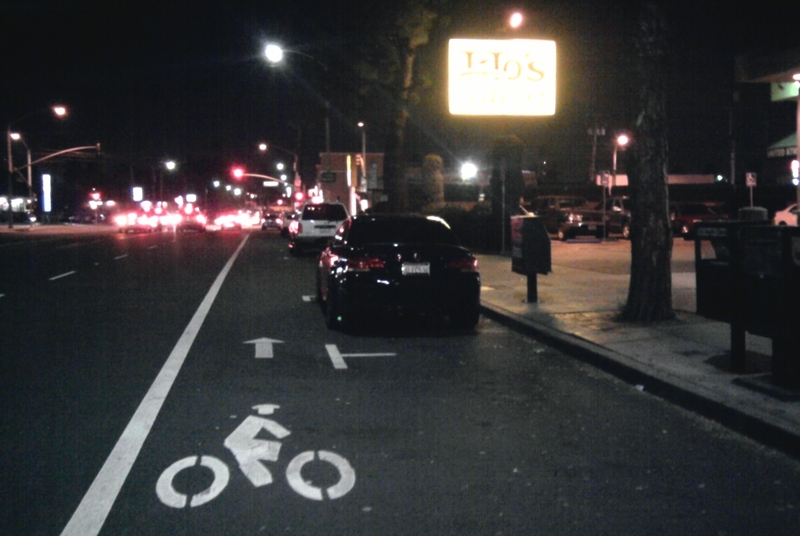 Sharrows are wimpy. Bike lanes are proven effective. Some folks have said: “OK, Joe, you don’t like the city’s sharrows – but what should they be doing?” Generally my answer is: BIKE LANES! This blog post is a more long-winded response to the question of what projects I think L.A. should be implementing right now. 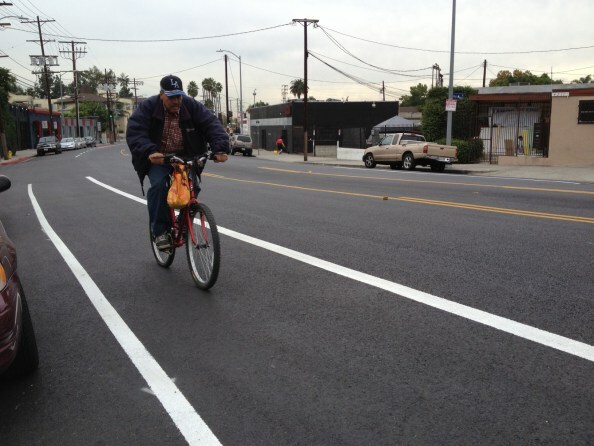 Below I list bikeway projects that I think are good – and that I think that the city of L.A. could move forward with quickly. I tend to favor easy “low-hanging fruit” projects. I’d love to see protected bike lanes, bike boulevards, road diets… but I think that these will take a relatively long time. 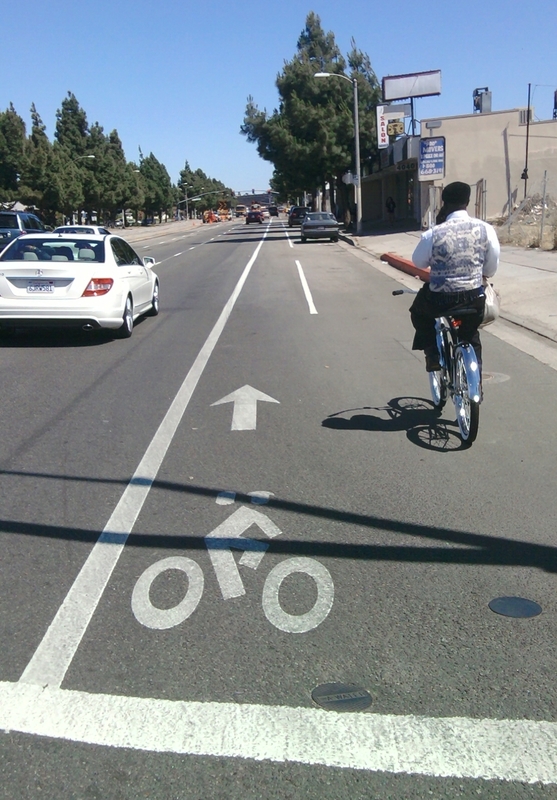 Under current city biases, these ambitious projects can take years; so I tend to favor the easier bike lane projects. The good news is that the city is already doing quite a few of these easy projects – for example, recent lanes on Vermont Avenue and Washington Place. 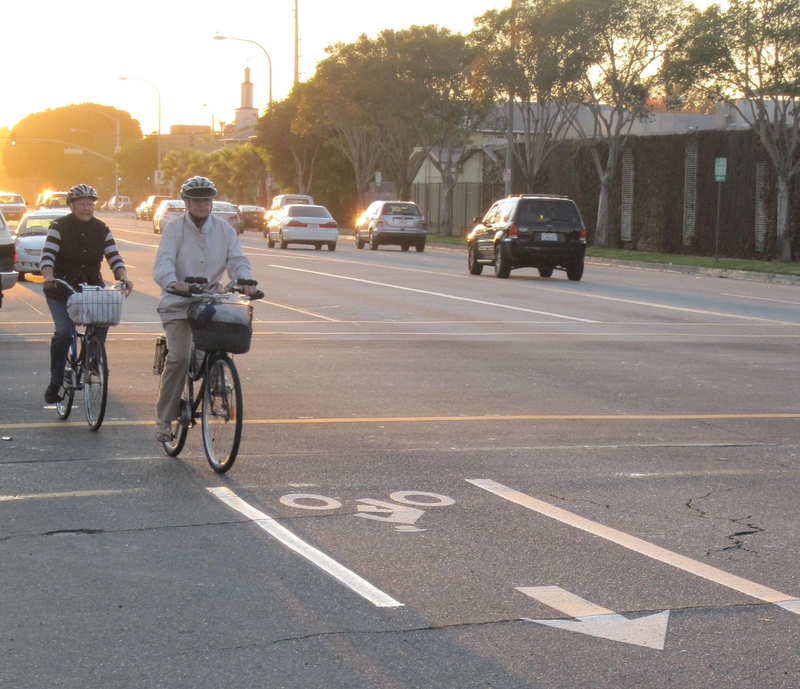 NO CAR LANE REMOVAL – Bike lanes that can be implemented in the existing roadway without impacting through-traffic-capacity. 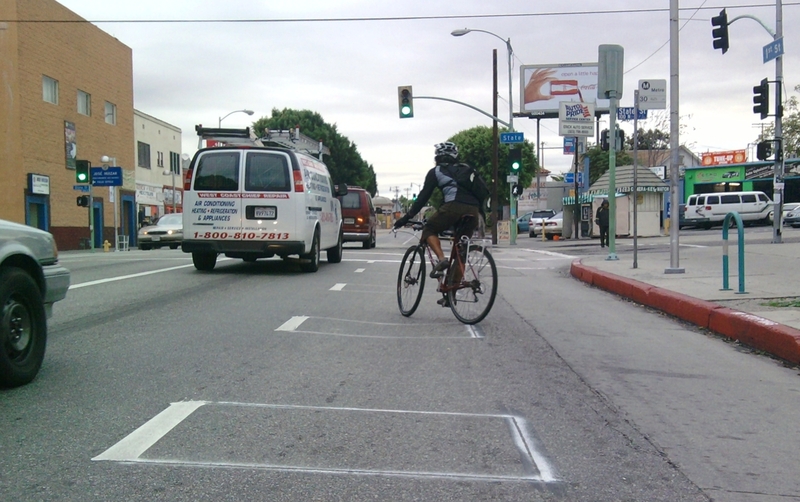 The squares in the foreground will soon be green - one of Los Angeles' first green pavement bike lanes. 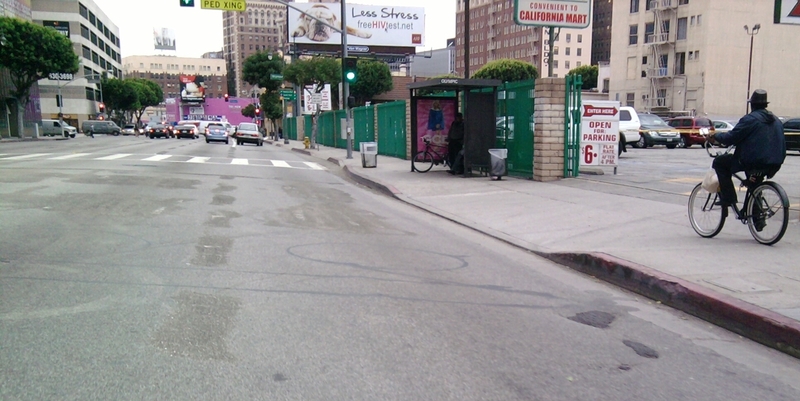 First Street at State Street in Boyle Heights.